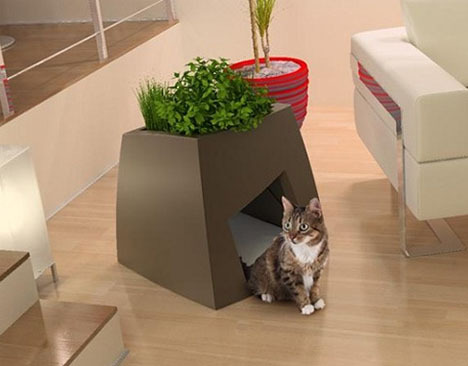 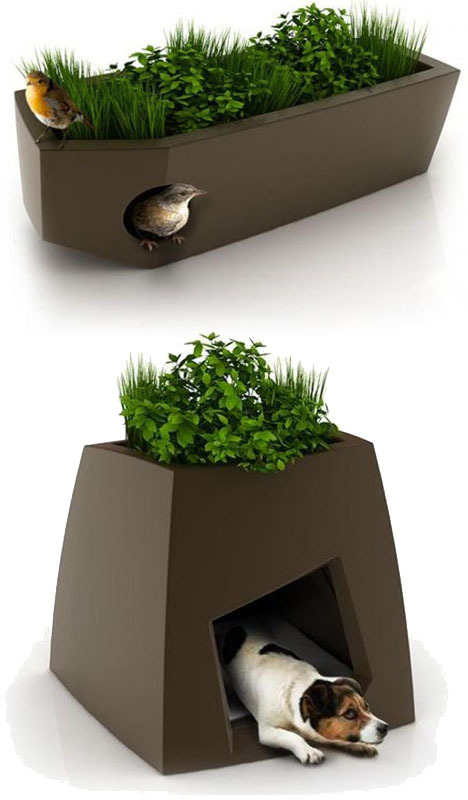 Aside from catchy contemporary curves and non-symmetrical shapes, these multi-funcitonal pet dwelling-and-planter combinations are a nice space-saving way to grow plants inside while housing a petite best friend or two. 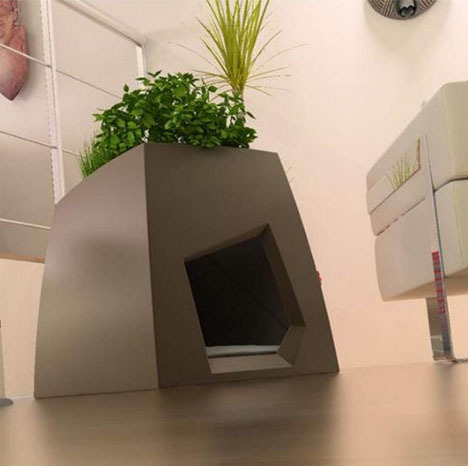 Jardin Chic specializes in the slightly-strange and eye-catching when it comes to indoor and outdoor furniture designs. 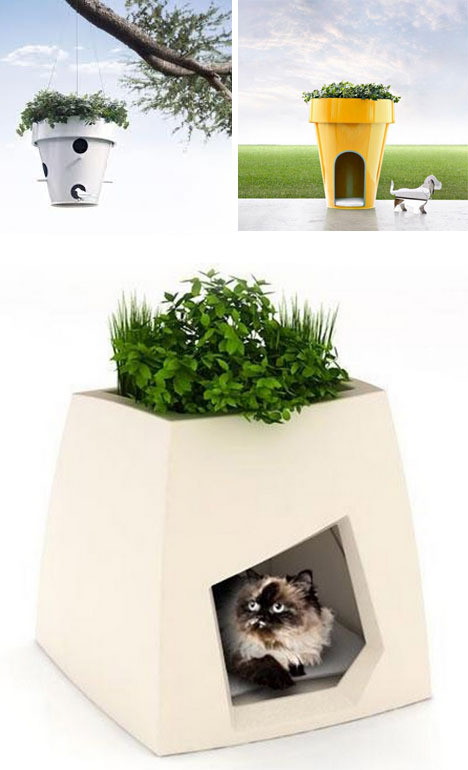 Still, this series of conceptual and real explorations into animal habitats might be their most clever work to date – now if they could only start to accommodate larger dogs, multiple levels and/or multi-pet housing, who knows how far the series could go.